Coke is inviting consumers to submit video clips of their 'Moments of Happiness', which will be included in the brand's global music video for its World Cup campaign anthem. 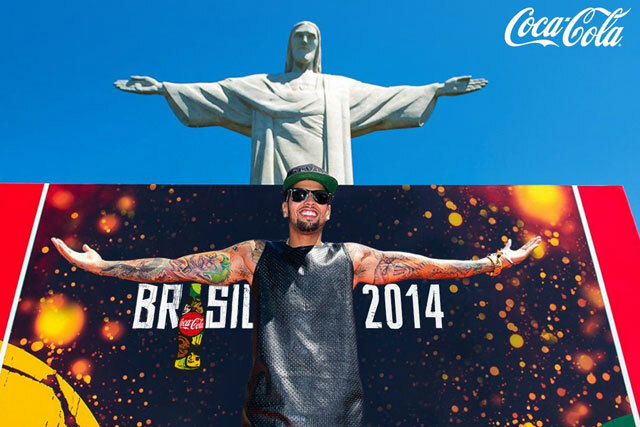 The anthem, called 'The World is Ours', will be performed by 'X Factor' finalist David Correy. The activity aims to capture real stories on the theme of happiness. Coke has partnered with Talenthouse, a networking platform for artists and creatives, on the project. The partnership has been engineered by boutique innovation company Deviant Ventures, who also produced Coke's 2010 soundtrack with K'naan. At least 20 people will be selected to have their clips used in the video by the judges, who include Dave Stewart from Eurythmics. Three overall winners, including one who gains the most public votes, will receive $1,000 each. Participants must submit their "moments of happiness" clips by 12 March on a dedicated site. The final video will be released in April. Joe Belliotti, director, global music marketing, the Coca-Cola Company, said: "Coca-Cola is everyone’s beverage and football is the world’s passion. We wanted to create a music video that can be everyone’s music video. "We look forward to working together with Dave Stewart and Talenthouse to connect with thousands of creative minds around the world."